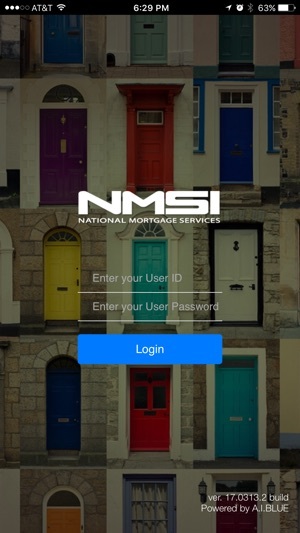 Our NMSI mobile makes your loan processing easier and faster ! 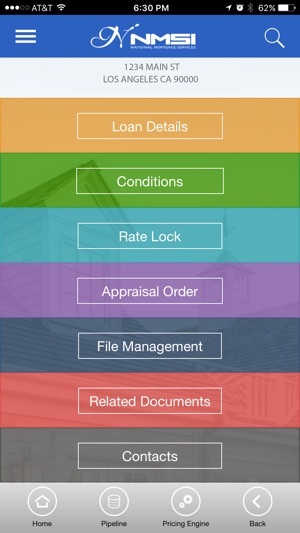 You can lock, order the appraisal, upload conditions and more. Stay connected anywhere and anytime. Easy sign-on using your existing NMSI EXPRESS username and password. This is where you can see all of your loans. Clicking on the Loan # hyperlink will open that Loan Main page. This is The starting point for all your loan activities. 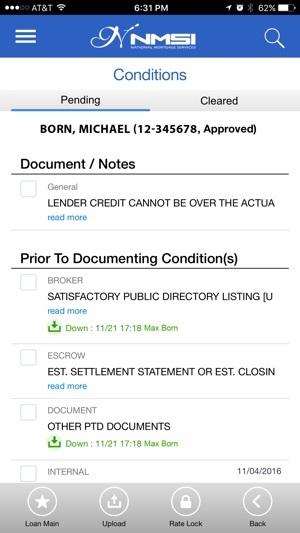 View Loan Summary, Contacts, Download AUS, Credit, 1008, 1003 and more. Review and upload conditions using your camera or files stored on iCloud Drive, Dropbox, google drive. 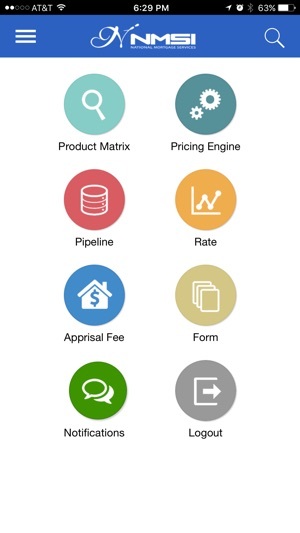 Order the appraisal quickly through the NMSI mobile app. Request rate lock in just seconds. 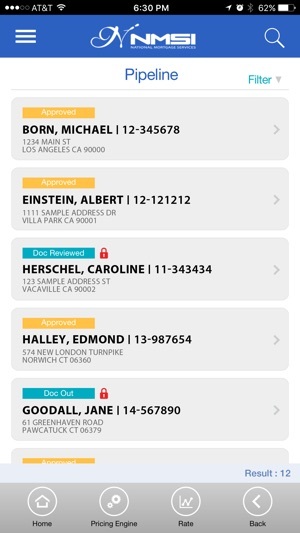 Provides information related to locks, locked date, expired date and lock period.